How Do New Real Estate Agents Get Their First Listing? 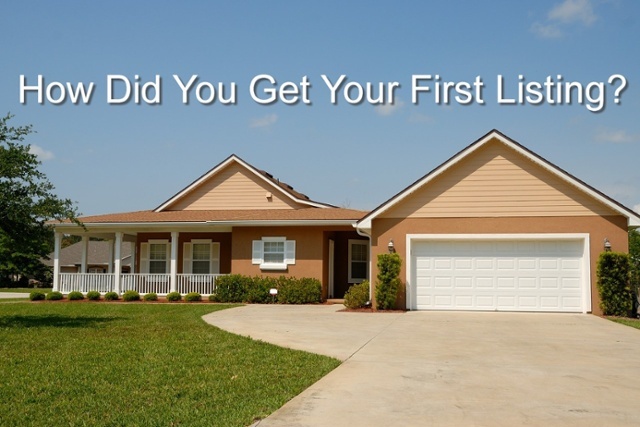 Here is a question most new agents will ask their more seasoned peers: "How did you get your first listing?" We have compiled a list of the most common ways, real estate agents have found seller leads. Congratulations on passing your exam! Welcome to the world of real estate. Or perhaps you are a seasoned agent looking to fortify your foundation and go back to the basics. One of the assets you should absolutely leverage as a new agent is your network. In your life leading up to the moment you passed your real estate exam, you have built a wealth of relationships. The keyword here is "wealth". Your friends and family are your biggest promoters, even if they are not currently looking for a home...they know somebody that is. Utilize those connections! To save a little money, there are many people out there that will opt to go the "DIY" route, and this includes selling their own home. You know this is not the best route to take, but they don't know it yet. Your job is to either convince a FSBO that using a real estate agent is their best option...or keep in touch with them when their home inevitably does not sell. Be sure to provide them items of value, like adding the listing to your website or sending some helpful articles. They will be most likely to go with you. Expired listings are also a great place to mine for listings. Keep in mind, once that listing expires they will get dozens of calls from local real estate agents. So you'll need to wow them with your personality, confidence, and knowledge. One unorthodox method is to search on Facebook Groups for a yard sale group. There will be plenty of people on there looking to sell their own home. Some might not even have the home for sale on Zillow. You can send them screenshots, explain the Zestimate, and let them know there are better ways to find home buyers than Facebook Groups. Another classic method to get listings is door knocking. Walk around the neighborhood and introduce yourself. Let people know you specialize in homes like theirs. Ask if they have thought about selling their home. If the answer is no, still provide some value. You can ask if they were curious about how much equity they have built. We realize this is common knowledge to most...but again, it is one thing to know what you should be doing...and another to actually be doing it. Good luck on your journey! We wish you success! If you are ready to take your real estate marketing up a notch, consider using PropertyPulse! Click below for your free demo.